Blockchain is a platform. Internet of Things is a platform. Smart Cities and open data are platforms. Cooperatives, to make sense, must be on or about platforms. Platforms. 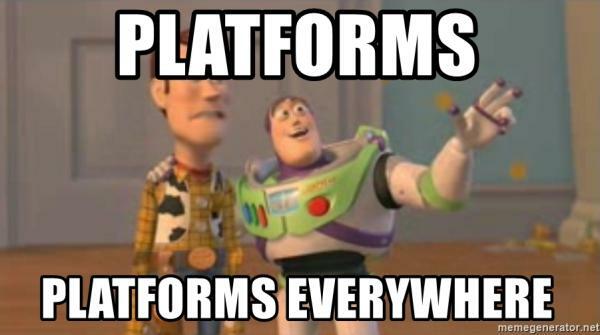 Platforms everywhere (*). Everything is a platform. But when everything is a platform, nothing is a platform. Not a platform that actually accomplishes something, anyway. Too many platforms, too few ideas. Especially big ideas, as Umair Haque recently said.